The Hammer Yearbook was a year long investigation of the inner workings of the Hammer museum – the visitors that came through it, the artists that provided the motivation to come in the first place, and the staff that made it all possible – through the lens of a school yearbook. With regular visits to the museum, UCLA students acted as the Yearbook Staff and created the texts and documentation for the publication over the course of the 2011-12 academic year. 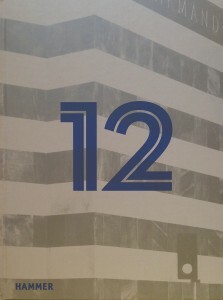 The yearbook was published in June 2012.